Make the natural choice. Grain fed, locally raised without antibiotics or animal by-products. Our chickens are fed a special feed blend from a local mill that is free of antibiotics and animal by-products. Our chickens are protected in our barns during cold weather and are able to freely roam outside on our free range farm to enjoy their surroundings when the weather is suitable. 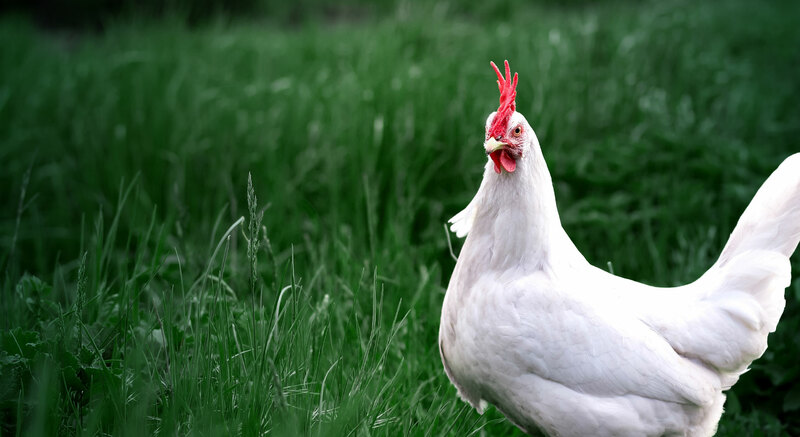 Each chicken is able to roam on our local free-range farm. When the weather is too cold, the barn is available to them. Ethically raised in a low-stress environment with no overcrowding. What your food eats has impact on you. Our birds receive a special feed blend free of antibiotics and animal by-products. A higher quality diet and access to the outdoors means healthier birds and nutrient-rich meat, making our chicken an excellent part of a healthy meal. We’re committed to using the utmost care in raising our chickens to exacting standards and sustainable farming practices. Each bird is inspected by the Manitoba Agriculture Inspection Agency to ensure it is fully fit for consumers. We sell whole free-range chickens (no separate parts) to retail outlets, restaurants and the general public. Our birds are processed and fresh weekly for delivery and pickup. Frozen chickens are available anytime during the week at our local farm – they typically weigh between 6-8lbs and cost $2.65/lb. Currently, free delivery is available within the cities of Winnipeg and Steinbach with orders of 10 or more chickens. Pickup can also be arranged directly from our farm. Get in touch with us to learn more and to place your order. View the map below to find a retailer that carries Heritage Lane Farms free-range chickens nearest you. We supply retailers and the restaurant industry with regular shipments of whole, free-range chickens from our local farm. Get in touch to learn more about our ongoing supply programs. We are committed to our chickens’ health as well as your health. 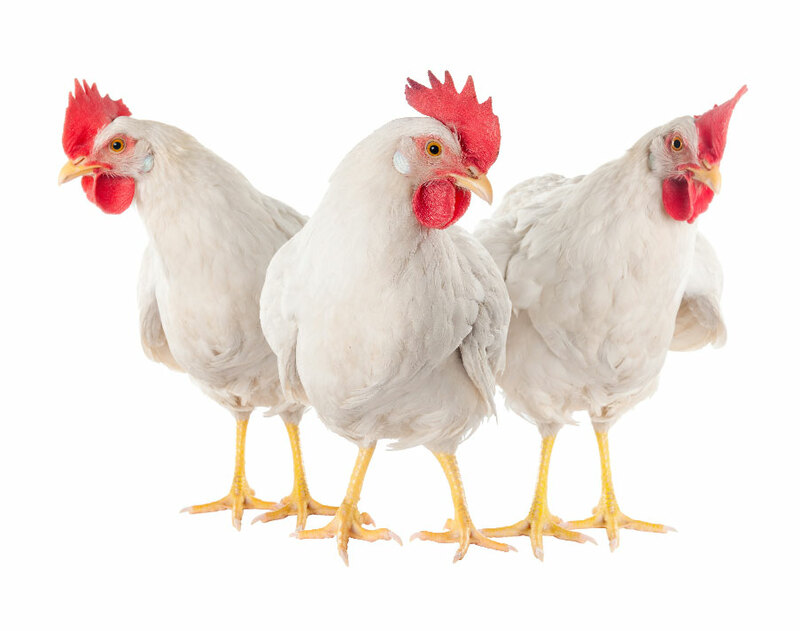 That is why every single one of our chickens passes under the watchful eye and scrutiny of an inspector from the Manitoba Agriculture Inspection Agency. We use the utmost care in raising our chickens to exacting standards – the regulations and guidelines we comply with for the care and handling of the birds we raise ensures they are in optimal health throughout their time on our farm. We trust that you will enjoy the fresh and wholesome flavour of our local, free-range farm roasting chickens. For delicious, tried and true recipes, link over to the Manitoba Chicken website below. Hi, we’re Ryan and Jill Plett. 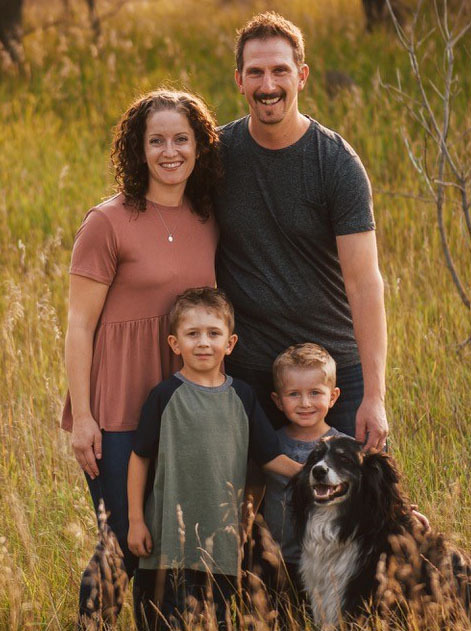 We became the new owners of Heritage Lane Farms in 2018. Our experiences growing up on our own farms has inspired our vision for the future. We bring a fresh perspective that builds off of Heritage Lane Farms’ history and we are excited to continue serving both new and existing customer bases with exceptional free-range roasting chickens. © Heritage Lane Farms 2019. Site by Print Studio One | Three-Six North Marketing.